Aki and I have is little tradition, where once a week we like to go to a coffee shop to read our books, study, or what not, and enjoy something from the beverage menu (I'm not a coffee drinker, but I prefer Tully's, while Aki prefer's Starbucks). Two weeks ago, after we finished our Tully's venture, I walked into the Loft that was next door. While rummaging around the Loft, the L.A. Diamond display caught my attention. I never noticed the display nor brand. So, with my curiosity peeked and wanting to try the brand, I picked up the two darkest shades in the line, SDG06 Spicy Red and SDG08 Burgundy. 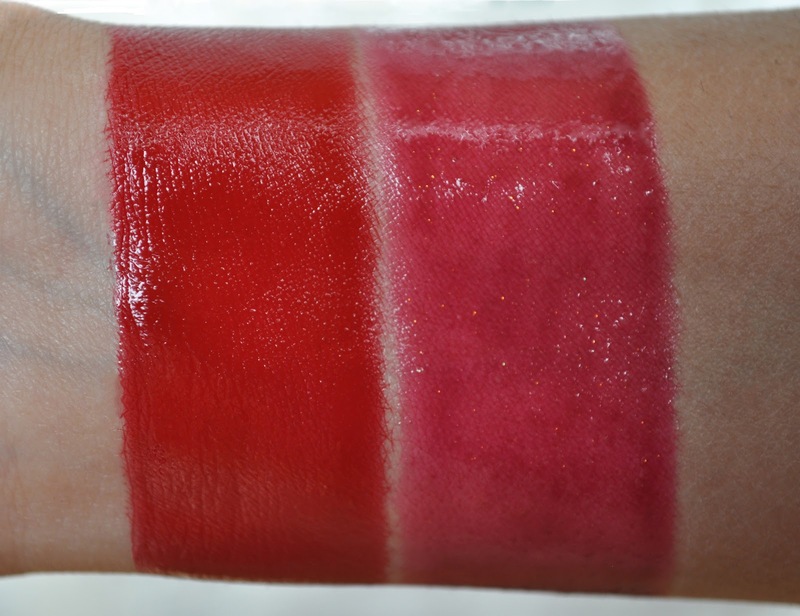 From left to right: SDG06 Spicy Red, SDG08 Burgundy. SDG06 Spicy Red: a gorgeous candy apple red. SDG08 Burgundy: a luscious raspberry burgundy with gold sparkles. 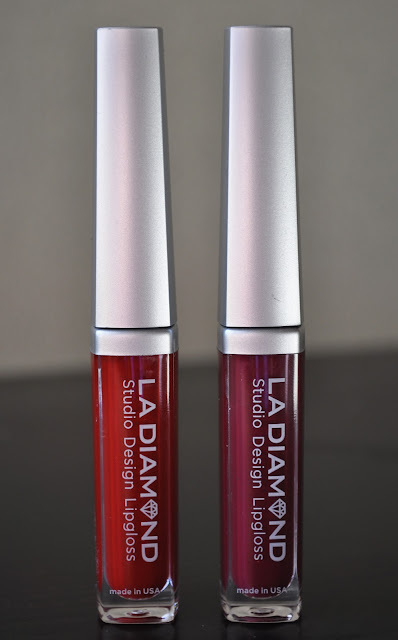 To my surprise, the L.A Diamonds Studio Design lip glosses were very pigmented (Burgundy is slightly sheerer than Spicy Red, but opaque on the lips), glossy, and comfortable on the lips. L.A Diamonds Studio Design lip glosses feel more like a liquid lipstick than a gloss, and wear for about 4 to 5 hours. 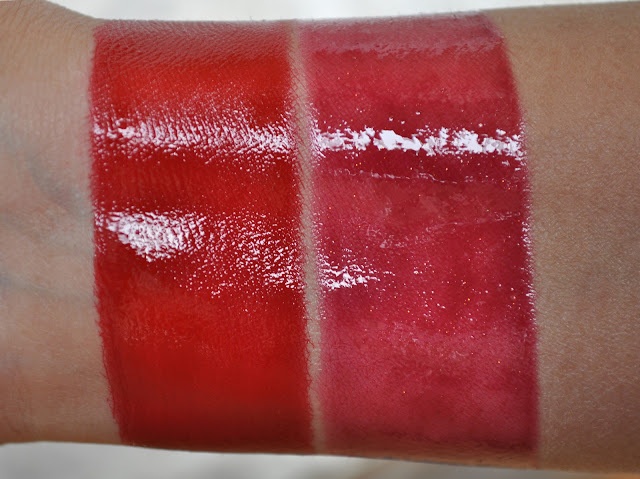 I've enjoyed both shades individually, but I especially love the color creation I get when the two are combined. L.A Diamonds is a Japanese cosmetic street brand that offers a modest selection of face, eyes, lips and nail products. The Studio Design lipglosses come in a wide range of shades, and retails for ¥940 ($12.13). What lipgloss have you been enjoying lately? Spicy Red reminds me of candy apples. Absolutely delicious!